"I read this book when I was at a crossroads in my life, and this quote really resonated with me. 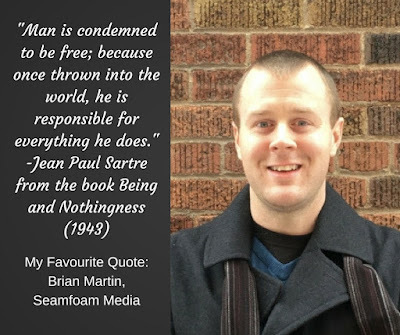 Sartre essentially says that we are responsible for our actions. I was at a low point career-wise and reading Sartre gave me the realization that if I was unhappy with where I was in life, it was because of choices I made. Since I am "condemned to be free", I have the responsibility to change my life and to take the steps to improve myself." 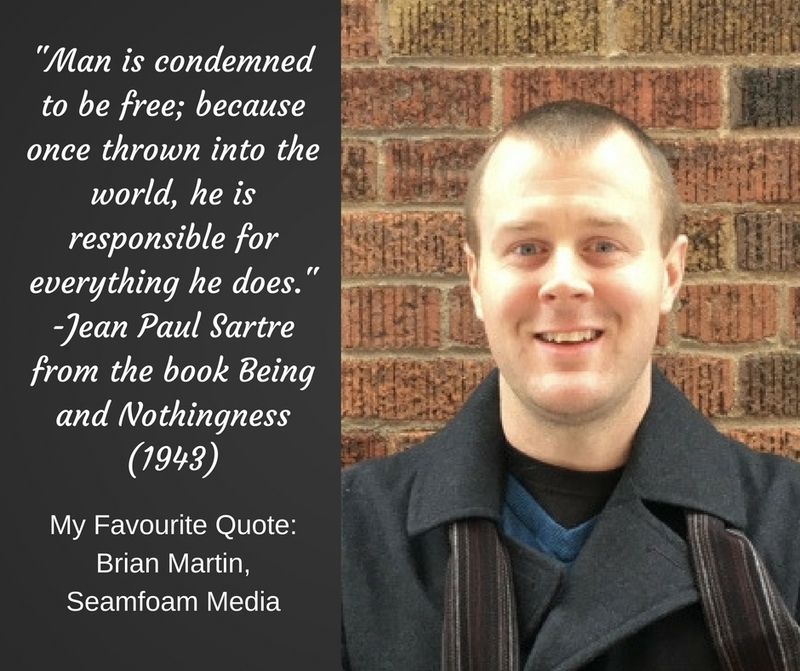 Brian Martin is a SEO Specialist for Seamfoam Media in St. Louis, MO with a passion for philosophy and early 20th century writers.